Labour activists in the swing seat of Corby have picked a former advisor to Vernon Coaker and David Blunkett as their parliamentary candidate. Beth Miller, who grew up in the Northamptonshire town, will try to over-turn the Tory majority of 2,690 at the next election. 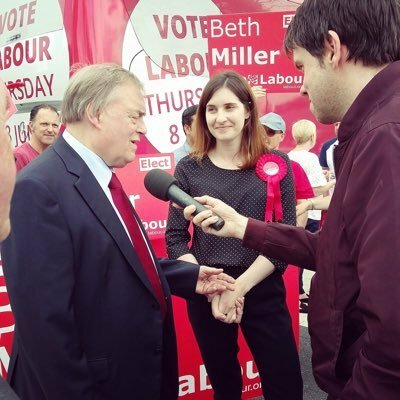 Miller, a Sheffield University graduate, is seen as coming from the centre-left tradition and is a former secretary of Labour Friends of the Forces. She works on corporate governance at the Bank of England and took part in the strike at Threadneedle Street last year. Miller won congratulations from Labour First, the campaign group which describes itself as “Labour’s moderates”. National organiser Matt Pound described Miller as an “excellent comrade”. Miller was the Labour candidate in June last year when she won 26,484 votes behind Tom Pursglove. The middle England seat of Corby was held by Labour between 2012 and 2015 after Andy Sawford won a high-profile by-election during one of the low points of David Cameron’s premiership.